I can honestly say when I started this book I knew absolutely nothing about Mata Hari, I've heard the name before but that is about it. My reason for requesting this from Netgalley was the author, Michelle Morin, as I have always enjoyed her books in the past. 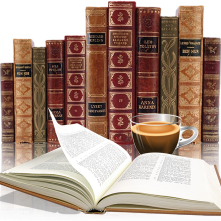 This is not a long book, coming in under 300 pages. Mata Hari being her stage name, her real name Margaretha Zelle MacLeod "M'greet" and this book is told from her point of view. It's a fast-moving story that tells how she came to be the famous exotic dancer that scandalized Parisian society. The story progresses jumping from her seductive dance routines to a string of wealthy lovers along with her reminiscing about childhood, marriage and motherhood. Concluding with charges of treason for being a World War I spy. That is a lot to fill in in under 300 pages and I would have loved for it to be a little longer with more depth and detail. That being said I found the author was still able to write about Mata Hari's life keeping me captivated with her story and feeling empathy. At times I found her to be naïve and even a little immature in her actions and her shopping habits, she gave off the impression of being a lost soul searching for something but not knowing what it was, making the outcome that much more heartbreaking. 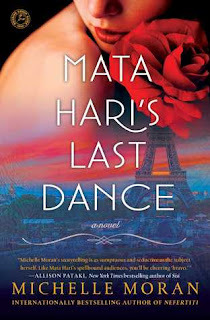 Mata Hari's Last Dance is a book that I will recommend to lovers of historical fiction. Thank you to Touchstone (via Netgalley) for an ARC. I have this book in my queue. I absolutely adore Michelle Moran. Like you, I knew little more than Mata Hari's name. Moran always brings such interesting, strong female historical figures to the forefront of her fiction. Love it! Now I have to find time to read it! !